I just can’t help myself when having a nosey around Waterstones. The new Murder Most Unladylike Mystery is out, so I just HAD to get that and because it is in the buy one get one half price range, I just HAD to get a David Walliams book that I haven’t read yet, Ratburger. 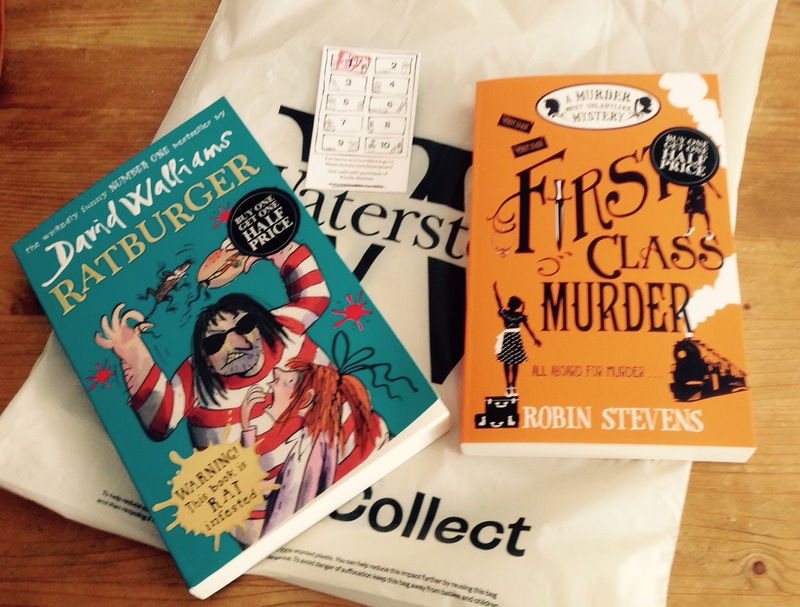 As well as this, I started a Waterstones stamp card which will give me £10 to spend in store after getting 10 stamps – brilliant! Next Post A message from Robin Stevens! !